This post is sponsored by petMD Reptile Center®, and the BlogPaws Professional Pet Blogger Network. I am being compensated for helping spread the word about Reptile Ownership, but ANIMAL BLISS only shares information we feel is relevant to our readers. petMD and PetSmart are not responsible for the content of this article. You’re getting a Bearded Dragon? Before getting a bearded dragon, I advice you to be responsible and do your research about their specialized needs and requirements. It is imperative that you have the housing and lighting before you bring him home. 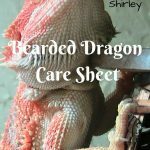 Don’t wait until after you’ve brought the dragon, or “beardie,” home to figure out what they need. A beardie has complex needs, and although it is considered the ideal pet for a reptile newbie, it does have strict requirements that cannot be left to chance. 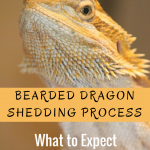 This post will give you a fairly good idea of what supplies you will have to purchase upfront, as well as ongoing necessities, and what you can expect the costs to be for keeping a bearded dragon. 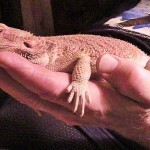 The new petMD Reptile Center is a great resource for learning more about your bearded dragon too! Paper towels is a good, inexpensive, way to start. If (when) it gets soiled, simply lift the dirty part and replace. Sand Mats are a good choice and allows the dragon to have a good grip. DO NOT USE SAND or loose substrate! Some pet stores still recommend sand, and you can buy terrarium kits that include sand. Throw it away. Your bearded dragon will ingest it, little by little, and this may cause impaction time in the future. This can be FATAL and is not worth it. Wattage will depend on the size of the tank, as well as how far away the basking spot is from the bulb. For most 20 and 40 gallon enclosures, a 75-100 Watt bulb will do. See Bearded Dragon Fax for more on this topic. Other optional furnishings, plants, etc. Greens should have a high Calcium to Phosphorus Ca:P ratio and be low in oxalic acid. The best greens are collard greens, mustard greens, turnip greens, endive, escarole, kale, dandelion greens, komatsuna, prickly pear cactus, afalfa leaf, hibuscus leaf, mulberry leaf, and winter squashes such as butternut squash. Refer to What Should Bearded Dragons be Fed? for more on this topic. Getting a Bearded Dragon is a big decision, and not one to be taken lightly. Many people don’t realize that a dragon can live 10-12 years. Please give it a lot of thought to avoid one day deciding it’s not for you. Along with the purchase of your bearded dragon (approx. $40-$150), you can expect to pay, on the generous side, up to $500 for your supplies, depending on your budget. You don’t have to buy everything at once, but do have the essentials — the tank, lights, heat and food. Don’t forget all the ongoing costs as well, such as the food, lights, and supplements. Oh, and vet bills! Finding a veterinarian that works with reptiles is important too. Not all vets fit this bill, so be prepared for an emergency by looking for one now. 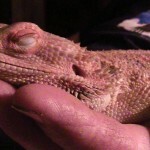 Ask another reptile owner, call vets, look online. You want one that is familiar with these animals. Save 30% select Nat Geographic & All Living Things reptile starter kits at PetSmart.com! Offer valid 7/6/15 – 8/2/15. 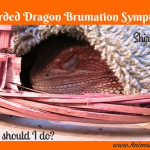 Are you getting a Bearded Dragon? I didn’t know they are so many types of greens. 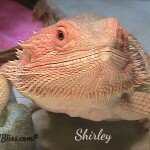 Thanks for all the info on bearded dragons! Well, Bearded Dragons are “supposed” to like many types of greens. 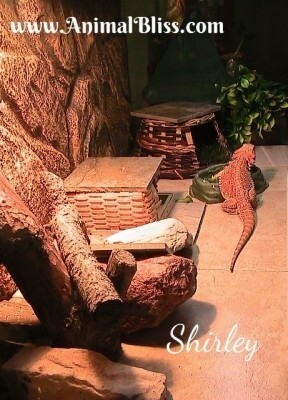 That’s not to say that it’s not a battle to get Shirley to eat anything but crickets … She’s so fussy. Thanks for your visit! Great list and advice! I had a bearded dragon and he was awesome! It’s great for people to know what they are getting themselves into before they commit to an animal. Thanks for stopping by, Amanda, and taking the time to read the post. There’s quite a lot to raising a bearded dragon and a lot of people don’t realize that. Hopefully this will help to get the word out. Take care. I had no idea sand was bad for them. One of our local pet stores is adding more reptile stuff and it threw me off to hear crickets chirping. Yes, sand is extremely bad for bearded dragons. It’s awful that a lot of pet stores still sell sand in their kits for dragons and still recommend it. Yes, it does seem odd when you first notice crickets chirping in the pet stores. Dragons love them. Thanks for stopping by! What a great post. 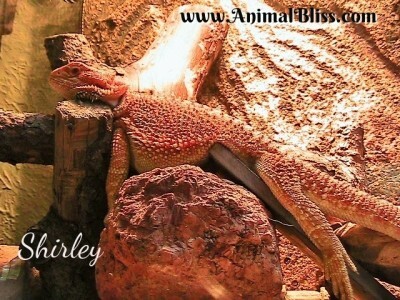 I find most would-be reptile owners are so much better at getting prepared for pet ownership than some other type of pet aficionados, but this post really lays out all the work that goes into it! I have friends with bearded dragons and they are SO STINKIN CUTE but I also know how much work they are so I will live vicariously through the rest of you. I had a breeding pair for a while and re-homed tons of babies! I always advised to add a large tub of water for the beardie to swim in, making sure that rocks line the bottom so it’s shallow enough that they can climb out easily. My pair were in a 210 gallon aquarium and my husband installed a piece of thick plexiglass along one end, creating a swimming pool that was about 12″ by 24″ by 6″ deep. With a small aquarium heater keeping the water at exactly 78 degrees, the beardies were in and out of that pool all the time, often taking naps in the water. You just have to make sure to keep a syphon handy, because reptiles like to poo in water. 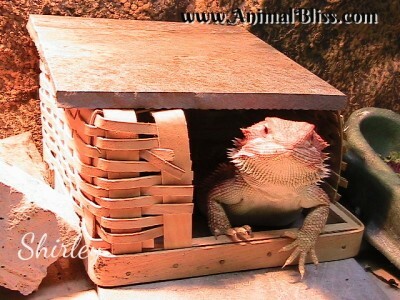 A plastic shoebox-sized container works in my current beardie enclosure, making it easily removed for cleaning. A pool eliminates the need for weekly soakings, since the beardie can decide for itself when it wants a bath!